First and foremost, I just want to apologize on the lack of posts. I just moved into my college dormitory this weekend so I was busy with that. Buuutttt now that I’m all settled, I have some time to post until I start school on Thursday. But anways, moving on, gaahhhhhhh, just when everything seems to be going well for our boarding mates, something bad just has to happen. But when there’s bad, there’s also good and in this episode, the good that we get because of the bad is the result of our boarding mates bond and getting closer to one another. For some reason, this episode felt a lot slower to me than the other episodes. There wasn’t a lot that happened, but I am glad that what we did get in return for slow progress was lots of group bonding and group time. Their idea with the pot was ruined when the elite study group also had the same exact idea (I KNEW THIS WOULD HAPPEN!) and got a patent for it, not allowing our boarding mates to promote the item since it isn’t theirs anymore. Everything was going so well for the guys I knew that something bad was going to happen and yes indeed, they got their brilliant idea taken away from them. ‘Surplus Princess’ just loves to do this to us alot and it frustrates me because can’t something good happen to our boarding mates for once?! Please let them be happy and find a job! How many episodes have we watched of the guys trying to apply into JH Foods? I’m kind of curious as to how things would have been different if the boarding mates did go on with their pot idea and get to promote it (omg Ji Yong’s ‘Emazon’ and 3bay’ was hillarrrioouuussss) . It’s such a pity that we didn’t get to see that possibility, but not everything works out for everyone so for ‘Surplus Princess’ to give us a realistic view on life and how not everything works the way you want it to, I have to give them some credit for that. Jin Ah continues to exhaust me and I just wish that she’d disappear from the show. The drama would still be the same if without her in here; There’s nothing new or interesting about her character because she’s such a typical second female lead. She’s just a side character pursuing after Shi Kyung, the guy who has no interest in her whatsoever. All her efforts are going to a waste and I just wished she would quit because she’s seen Shi Kyung and Ha Ni together a few times which should give her the hint that maybe things between her and Shi Kyung aren’t going to work out and because Shi Kyung’s admitted to her that he doesn’t see her in that way, but she keeps on pushing herself onto him and that’s just a huge annoyance. 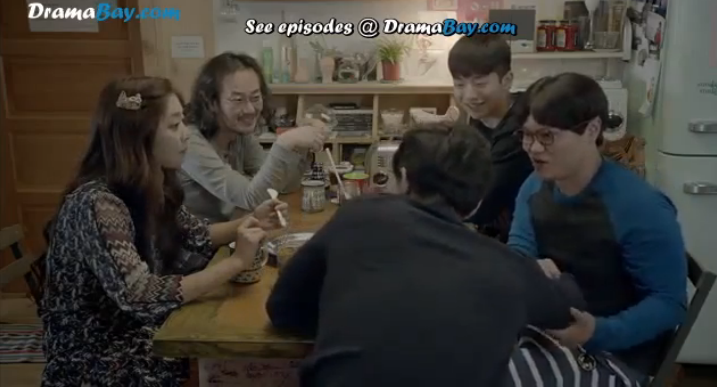 A scene I really thought was adorable in this episode was when Shi Kyung was having dinner with Jin Ah and his grandmother and he was smiling all greasily and cutely imagining that Jin Ah was Ha Ni. 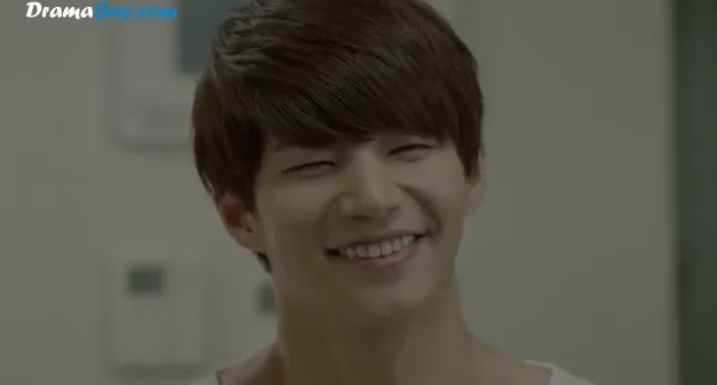 Song Jae Rim has such an adorable smile, it’s impossible to not smile when you see his smile (and omg when he was imagining Jin Ah with his grandmother and she was literally holding onto the fish while eating it. SERIOUSLY. SHE WAS HOLDING IT WITH HER BARE HANDS. TOO FUNNY). Regarding our third love triangle between Big, Hye Young, and Sung-kyu, I’m not so invested in the triangle and I think part of that is because I’m not certain as to how Sung-kyu thinks or feels about Hye Young. It’s obvious that Big cares about Hye Young and harbors a crush on her while Hye Young feels the same towards Sung-kyu, but I wanna know how Sung-kyu feels towards Hye Young. The drama the past few episodes developed Hye Young and Big’s relationship making them seem like they were gonna be a couple, but then it suddenly switched to Hye Young still possessing feelings for Sung-kyu so I’m confused as to what the drama is trying to convey. I like each character individually and I believe they each have their own charms, but couple-wise, I’m not so sure who to support because the drama isn’t so clear on that aspect yet. (A favorite part of mines in this episode was when Hye Young received a call from the audition team only to find out that she had failed so she tried to make it up to them by singing and dancing and omg, that scene was just gold! GOLD I TELL YA). One thing that I am thankful about Sung-kyu though was his ability to bring all the boarding mates together for a fun trip. I think that was what the mates really needed after all the stress and hardships that came with not being able to find a job or not being able to continue on with their pot idea. 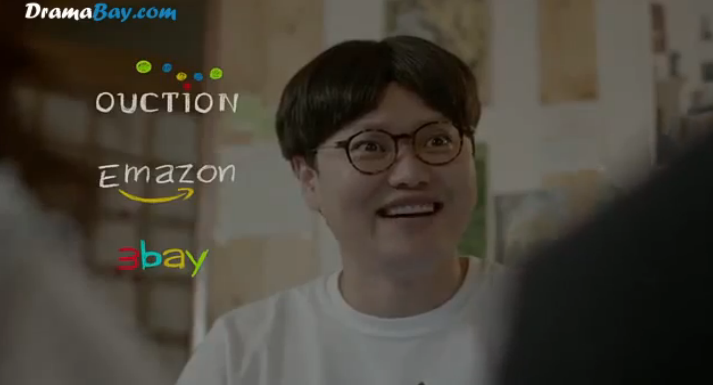 Sung-kyu has always been a very mysterious character in this drama with minimal screen time so I’m glad that we shifted some attention on him and to some degree a few of his thoughts or feelings as well. Episode 8 returned with its more sentimental, mellow, and touching side with the whole bonfire bonding moment with our boarding mates. I really appreciate how ‘Surplus Princess’ executes these things, because every once in a while, as good as laughter is, you sometimes need a different tone to balance everything out and that’s when the drama delivers with its emotional and heart-felt scenes, such as the bonfire in this episode. I just felt so content watching them all bond and tell greasy cheesy lines that made everyone (including me and probably you) cringe and also watching Ha Ni apologize for what she believed was her fault (in which it wasn’t). It’s just moments like these that make the whole drama worth watching. I visit Dramabeans everyday to check up on their website and recently heard about the cut for ‘Surplus Princess.’ It was originally 14 episodes, but was cut down to just 10 episodes, leaving us with only 2 episodes left to wrap everything up. I’m heart-broken at such news, because as silly, whimsical, quirky, and goofy as ‘Surplus Princess’ is, it still remains a very entertaining show for me that I enjoy like no other. All the cast members are great and the execution to the plot isn’t so bad. So with that said, I was surprised at the cut but then again, the drama has always struggled with its rating so I’m thinking that the rating is the main motive to cutting the drama down a few episodes. It’s such a shame because the drama was good, but like I voiced a few times, it had the potential to be better. ‘Surplus Princess’ is a bit draggy and just a few episodes ago barely started on the love triangle / love lines when it should have earlier in the drama. I’m curious as to how the writer is going to wrap everything up. I wouldn’t be surprised if Ha Ni ends up with Shi Kyung because they have feelings each other, but I don’t want to see Hyun Myung lonely and heart-broken because as we could see in episode 8, he clearly also has feelings for Ha Ni. I’m just going to prepare myself for a very rushed ending that might or might not be to my liking, but that still won’t take away the fact that ‘Surplus Princess’ has been my source of laughter for the past few months since it very first aired.